The Scholarship has been established to encourage students to undertake research in Paediatrics in the Faculty of Medicine. To be eligible for a Scholarship an applicant must be an Australian citizen or permanent resident undertaking an Honours project or Postgraduate Research in Paediatrics. Recipients may not concurrently hold any other scholarship or award (except for Youth Allowance/Austudy) except with the permission of the UNSW Selection Committee. Each applicant will be assessed on the basis of academic merit, demonstrated ability and leadership qualities, potential to contribute to the wider life of the University and consideration of financial need. The tenure of the Scholarship is for one year only. Completed application forms and any supporting documentation should be scanned and emailed (preferably as a single pdf document) to the Graduate Research School on scholarships.grs@unsw.edu.au by the specified closing date. 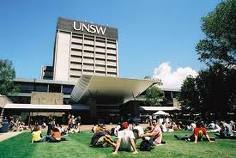 Demikianlah artikel mengenai The Vida Rees Scholarship in Paediatrics, University of New South Wales, Australia Semoga Bermanfaat Bagi Anda.